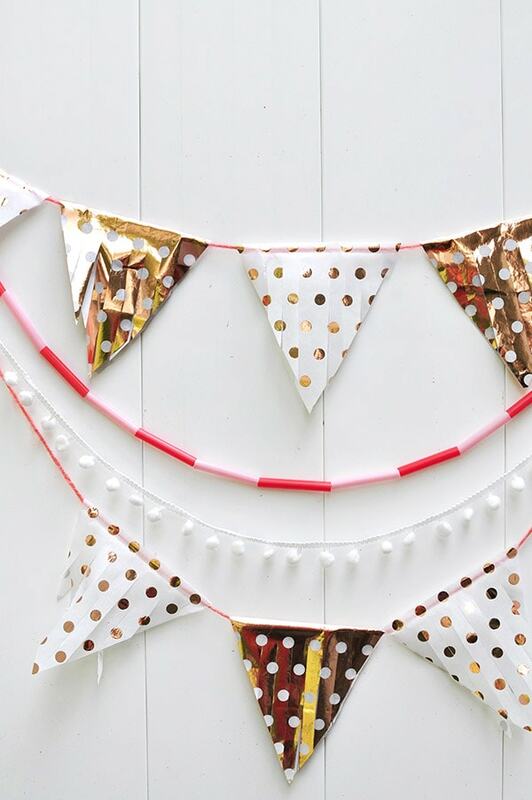 INSIDE : Learn how to make a Tissue Paper Banner as a fun DIY party decor item! 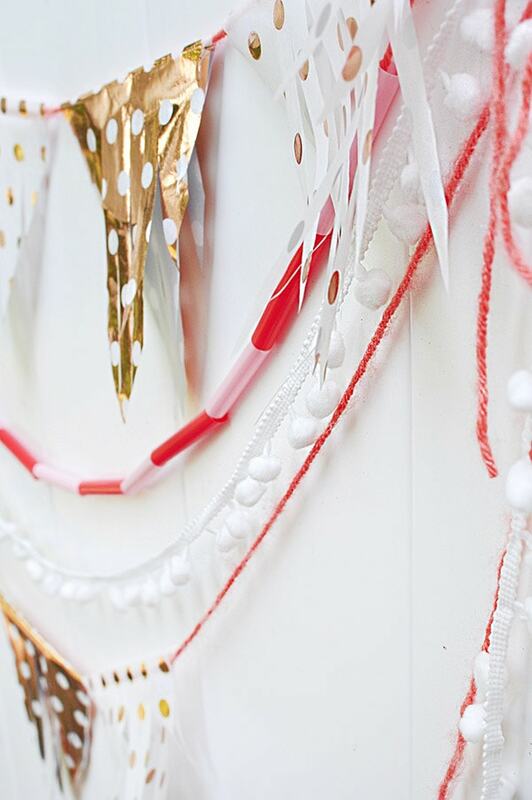 See the quick steps to help add festive wonder to your next party while using tissue paper. Parties. I love dreaming up ideas, I love creating and I love executing them. And when I can do it on a budget it’s even better!! 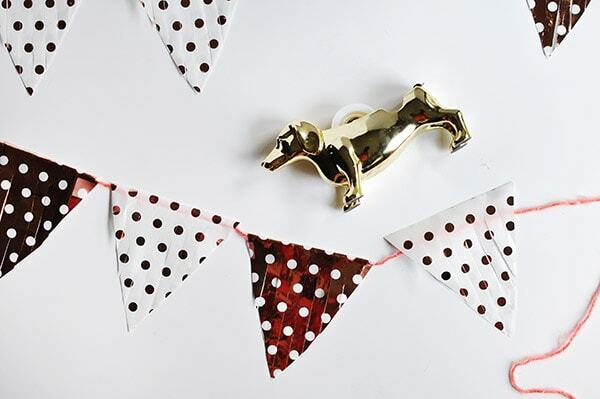 Today, I am sharing my next 12MonthsofMartha post on how to create the cutest DIY Fringed Tissue Paper Banner for practically no cost at all! First off, determine the total length you want and/or need for your Tissue Paper Banner. 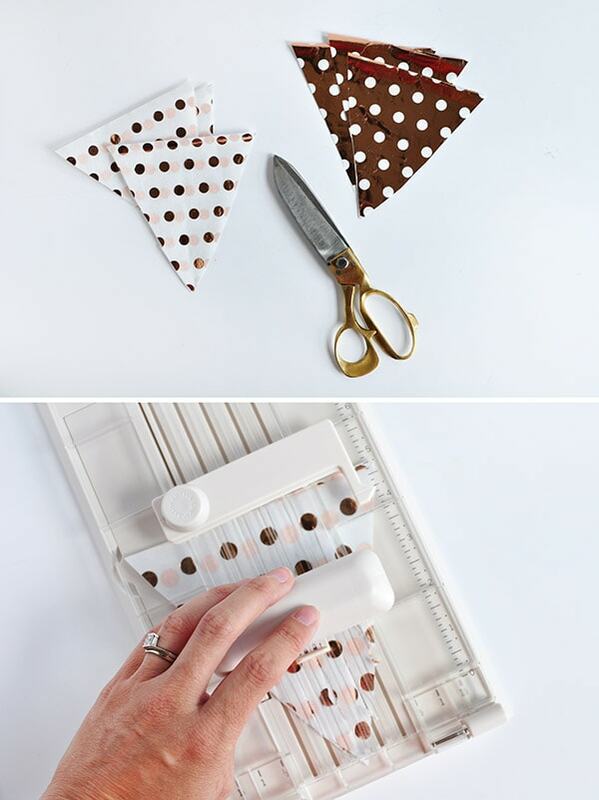 Fold the Polka Dot Tissue Paper in half, leaving the top where the fold is as is, cut out triangle shapes. 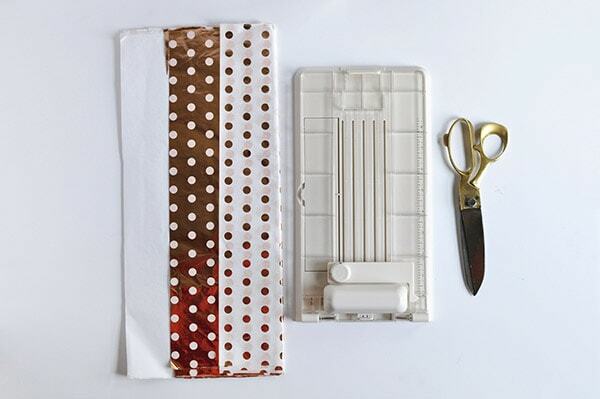 Once you have all your folded tissue paper triangle shapes cut out, insert 4-6 sheets of tissue paper into your Martha Stewart Fringe Cutting Tool. Read directions on changing the fringe dimension. The cutting tool is very simple to use and think I am ready to fringe everything in sight now! Fringe your tissue paper accordingly but leave the top 2″ at the fold, un-fringed. 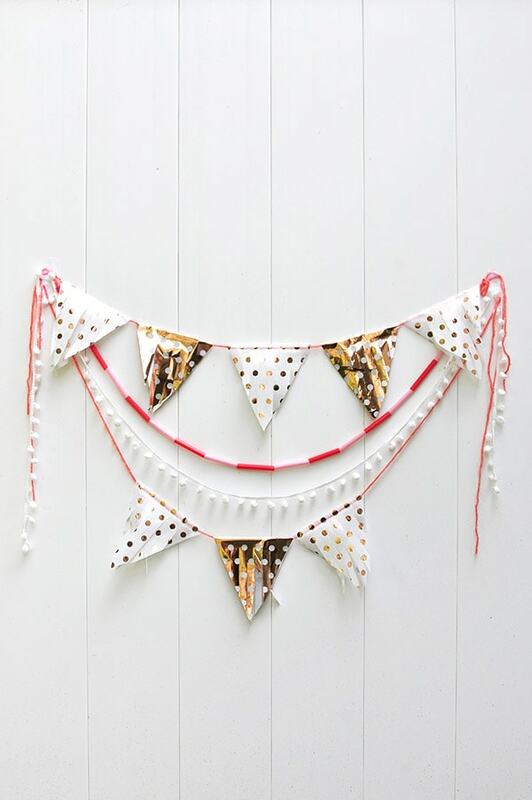 You are now left with lovely little fringed folded triangles, so it’s time to get on making that banner! I love layering banners, so I made two strands and hung them at different heights. Then I added in pink and red straws that I strung together. 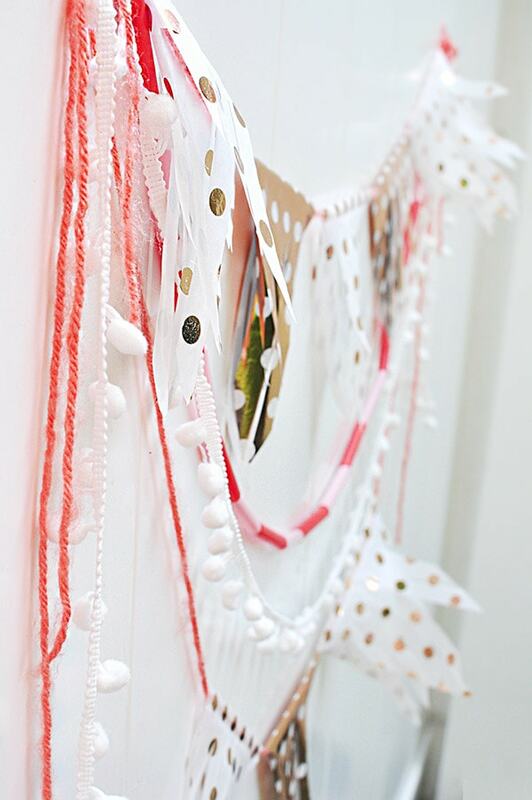 And lastly, added in a white pom pom string from Target’s dollar section. 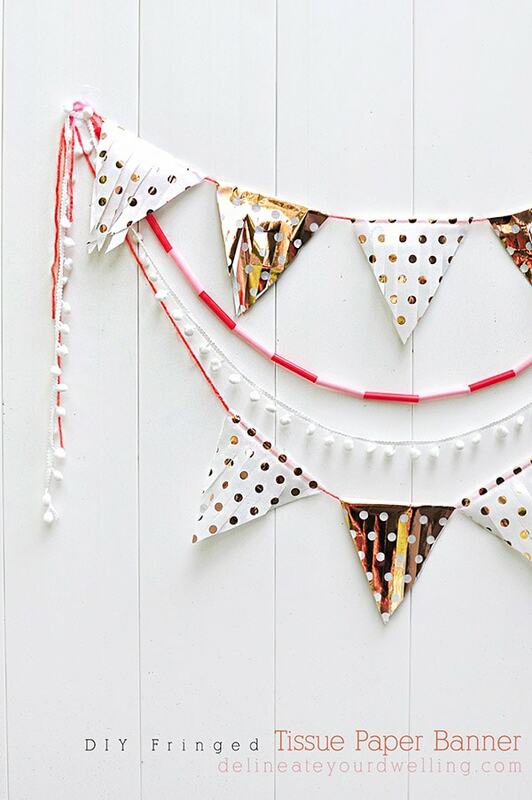 All of the texture and color are the perfect DIY party touch and it if you are able to use most of the materials from home like I was able to, this little fringed tissue paper banner costs under $16! Very cute banner. Love the addition of the straw and pom poms! 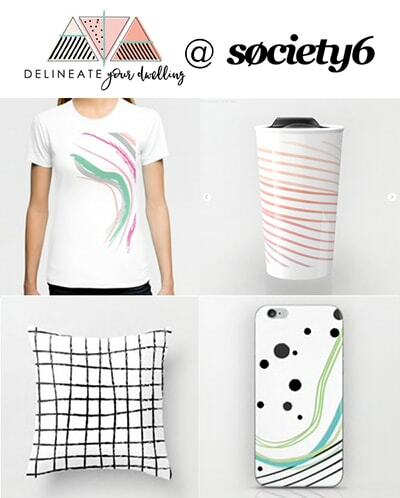 Visiting from Create It Thursday party. I just love all this texture! So pretty and love the touch of the pom-pom trim! Did you have any issue with your tissue paper ripping? 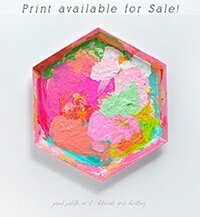 I’ve had trouble using mine with tissue paper but it works great with cardstock and mylar. I read if you sandwich the tissue paper between two pieces of copy paper and then put it in the fringe too. I tried it and it helps! This is just oh so perfect, Amy! That fringe cutter looks really neat. So much easier than cutting them with scissors! I can’t wait to try a little thicker paper next time! But yes, this fringe cutter was a cinch to use!